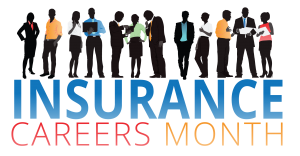 Every February, we celebrate Insurance Careers Month by honoring our employees. This year we are taking the opportunity to showcase a variety of Alper’s Team Members. Find out how they discovered a career in insurance and what they enjoy about their role. 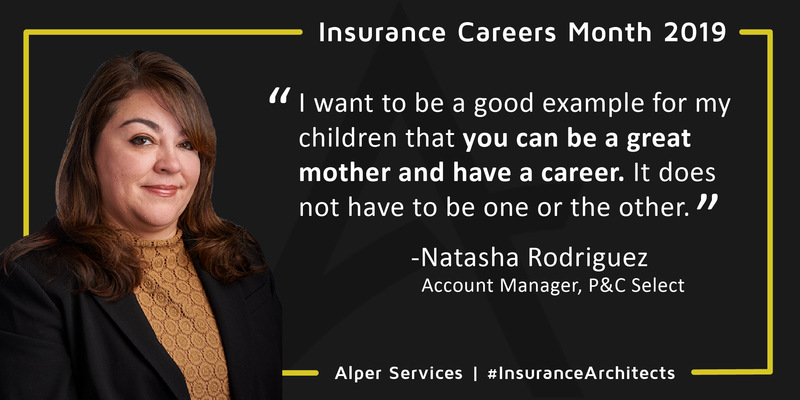 Meet Natasha Rodriguez, Account Manager in the Property & Casualty Select Division, and super mom to two daughters. Natasha has been with Alper for one year and was named one of our Employees of the Year for 2018. What was it like to leave your previous insurance brokerage to help build a new division for Alper? Leaving my prior employer, where I worked for over 27 years and coming to Alper Services was very frightening at first. However, I was very eager and excited to meet new people and to begin this new chapter in my career as well as help build the P&C Select Division at Alper. It was challenging the first couple of months to learn new procedures, new coverages and new Clients. However, I’m at my strongest when confronted with challenges. I am very excited to be a part of the changes at Alper Services. I feel that we are on the right track to becoming one of the insurance leaders in the Midwest. What is it like for you as a working mom in the insurance industry? How are you able to juggle a career and raise kids? I want to be a good example for my children that you CAN be a great mother and have a career. It does not have to be one or the other. You also want your co-workers and managers to respect you as a professional but want your children to think you ARE the coolest mom. I never take myself too serious. I love being a mother and my children always comes first as they are my life. Working at Alper has let me be more flexible to make soccer games after school, attend Christmas programs or volunteer for a field trip. I know that I am working to provide my children with a better life and better opportunities. You need to be present and active in your children’s lives as much as you can as they grow up so fast. My oldest will be off to college this summer, and while I am very excited for her and want her to enjoy the experience, I begin to feel many different emotions. In the end, I am ready for her to spread her wings and fly. If one of your daughters was interested in a career in insurance, what advice would you give her about where to start? First, I would advise her to earn her Property & Casualty license. Next, I would suggest she obtain a position in a claims department, either in an agency or carrier setting. When you work in claims, I feel you get a better understanding of coverages and understand the importance of securing the proper coverages for your clients’ diverse needs. Interested in an exciting career with growth opportunity? Contact HR Director Cindi Elstien for current openings at Alper Services, CElstien@AlperServices.com.